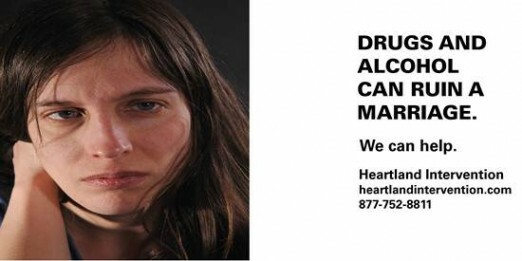 Heartland Intervention | We Can Help. Heartland Intervention is dedicated to help those who are struggling get back to the life they want. If you or a love one struggles with addiction, or need an assessment from a qualified professional...then you've come to the right place! Explore our site and then give us a call to discuss how we can best help you or your loved one. Our number is 317-752-8811. Give us a call today. Addiction ruins families and marriages. Call Heartland Intervention for help. For more information contact us at 317-752-8811. Heartland Intervention exists to save lives and restore family relationships by lovingly intervening and offering recovery instead of addiction. Scott J. Watson is a Licensed Clinical Addictions Counselor, Master Addictions Counselor and qualified DOT SAP. He specializes in assessment and intervention and is a sought after teacher and speaker. Call us today at 317-752-8811 to speak with us directly or to schedule an appointment. As one of the leading providers of DOT/SAP evaluations in Central Indiana, Heartland Intervention, LLC regularly sees clients as part of the CFR Part 40 Return to Duty process. It’s also not uncommon for a client to seek such an evaluation, when they don’t really need or qualify under the federal rule. So when is a “DOT violation” not really a violation? CFR Part 40 requires an evaluation when a covered employee fails one of the following types of urine drug screen or breath alcohol test: Pre-employment, Random, Follow-up, Return to Duty, Post-Accident and Reasonable Suspicion. These are the ONLY types of test covered under the rule. When an employee fails a test administered under company policy, union agreement or as part of a physical- even a DOT physical- it can be problematic, even dangerous. But it is NOT a DOT violation and does not allow for a DOT assessment. As with many cases, there are a couple of loopholes and exclusions. That is precisely why employers and employees trust Scott J. Watson and Heartland Intervention. If you have question about CFR Part 40, contact us directly. As a qualified DOT/SAP, Scott J. Watson has both clinical expertise and years of experience needed to navigate this challenging process. He can answer your questions directly at 317-752-8811. The Return to Duty process can be complex and challenging. Trust an expert to guide you through the process or keep your company compliant with federal rule. In a typical year, about 15,000 Indiana residents will be charged with DUI or equivalent charge. Being arrested for drunk driving can be dangerous, embarrassing, expensive and complicate one’s situation at home or work. When faced with legal charges related to drugs or alcohol, most attorneys suggest that their clients obtain an independent professional drug and alcohol evaluation. Use great caution when deciding whom you will chose to do your substance abuse assessment. When facing legal charges, employment, custody of children, your freedom and ability to drive are often at risk. Heartland Intervention strongly suggests that your assessment only be conducted by a clinician who is licensed by the state and has at least a Master’s Degree in Addiction Counseling. In Indiana, many licensees have been grandfathered in and lack the needed advanced academic preparation. Heartland Intervention, LLC is a leading provider of substance abuse evaluations in Indiana. Your assessment should ALWAYS be face to face. The courts and prosecutor can’t be expected to trust an assessment from someone who has never actually met you. While each professional approaches assessments differently, all assessments should include several parts that cover a wide variety of clinical areas. This allows for a complete picture of the person and also helps to assure that the client receives appropriate recommendations going forward. Most assessments include a standardized assessment tool such as MAST or CAGE as well as an opportunity to gather collateral information. Finally you should expect clinical recommendations for education and/or treatment where appropriate. Our clients and their attorneys frequently tell us that an independent evaluation can be an important part of the legal defense. Independent clinical professionals can offer an unbiased impression of a person’s drug or alcohol use. A DUI assessment also can be used to demonstrate to the court that a person is seriously focused on making any necessary changes. Heartland Intervention founder Scott J. Watson is a Licensed Clinical Addictions Counselor, Master Addictions Counselor and qualified DOT Substance Abuse Professional. He has over 10 years of experience and special training in assessment of drug and alcohol disorders. If you are facing DUI or other charges call him today at 317-752-8811 and schedule your substance use assessment or evaluation. When drug or alcohol addiction strikes a family it invokes many feelings and thoughts. Often families give money, rides, cell phones, housing and more in an effort to help the addict. Often families are trying to keep things from getting worse. While the motive might be pure the family often finds that their efforts don’t produce the hoped-for effect. Sadly, the addict avoids the natural consequences of their choices. The result is an increase in frustration that can lead to arguments, threats, resentments and more. During the intervention planning process, Heartland Intervention works with families on developing the best possible attitude toward the alcoholic or addict. That attitude states, “We are willing to do almost anything to support you in recovery. But we are no longer willing to do much of anything to support you in addiction.” By adopting this mindset, families are really acknowledging three things. We have done things out of love that have enabled the addiction. We are taking a stand for our loved one and against addiction. We are choosing a healthier course for ourselves independent of the decision of others. I further elaborated on this points at Basement Flood Cleanup. On the topic at hand though, choosing recovery is a decision that every member of the family must come to grips with. It involves individual decisions that utilize healthy boundaries and are designed to protect marriages, young children, financial resources and more. If your family is struggling with addiction it may be time to reach out to Heartland Intervention, LLC for help. We are a leading provider of intervention services in Indiana and beyond. Our founder Scott J. Watson is a Licensed Clinical Addictions Counselor, Master Addictions Counselor and DOT qualified Substance Abuse Professional. Call him today at 877-752-8811 and learn how you can adopt the best possible attitude to help your loved one overcome addiction. Every week, people reach out to Heartland Intervention, LLC concerned about a loved one or family member’s drinking or drug use. Some families have spent years walking on egg shells or trying to ignore addiction. For others, the prospect of loving someone who struggles with substance use or addiction is a new and scary reality. While not everyone who struggles with substance abuse needs an intervention, Heartland Intervention takes pride in coming along side of families during this important and uncertain time. As a leader in intervention services in Indiana and beyond, we provide service that is professional, credentialed, affordable and caring. Many families considering intervention are surprised to learn that intervention is a process and not an event. Often it begins with a consultation either in our office or on the phone. This is designed to answer questions and make sure that intervention is appropriate for the family. While we use the leverage of surprise, our interventions are always loving, respectful and free of any anger or resentment on the part of the team. Once an intervention agreement is signed, a comprehensive assessment in conducted in an effort to learn as much as we can about the identified patient. This information is used to make recommendations about a treatment center that will be a good fit clinically and socially. During this time, we assist the family in selecting a team of individuals-including at least one wild card- to be present at the intervention. Drug addiction and alcohol problems usually come with a high degree of denial, depression, anxiety and anger. During the intervention planning meeting, we address how these and other objections will be handled. This is also the time when families are able to finally take action in support of recovery and standing against the status quo. Families tell us that while emotional, these meetings help the family to heal. Over 85% of those we have intervened on go to treatment directly from the intervention. Of the 15% that have not- over 65% have gone to treatment within the next 14 days. That is a remarkable success rate. Remember however, those are not just numbers. They represent lives, families, parental rights, jobs and freedom saved from the hopeless life of addiction. A young man who had just turned 18 sat only a few feet away in his living room. His family gathered, full of fear and full of hope, for the intervention that they hoped would save his life. The young man just shook his head as tears slowly streamed from his face. He was weighing the loving offer that his family was making. Would he accept the offer and go to treatment for his drug addiction…or face the consequences of continuing the addicted life? At Heartland Intervention, LLC we say that we have a front row seat to watch people’s lives turn around. Over the years, it has become a motto, a privilege and a job description of sorts. It is an honor to be invited into the life of any family. This is especially true when families are not at their best due to drinking, drug use or addiction. The trust that families place in us and the intervention process is never to be taken lightly. The stakes during an intervention are high and that’s why preparation, planning and execution are so critical. The time leading up to the actual intervention is spent putting together an intervention team and selecting a treatment center. Arrangements are made to care for a wide range of concerns while the person is away. Questions like who will water the plants, mow the lawn, pay the bills and many more all have to be addressed. What about school and/or work? Who will care for kids or pets? Once these and other details are attended to, a planning meeting with all team members carefully scripts out the actual intervention. On this day the subject of the intervetion was lovingly confronted with how his drug use had changed him and his relationship with those closest to him. While the stakes and emotions were running high, the feel in the room was one of love. As he weighed the offer, I looked around the room at each person. There were tears, the wringing of hands and a nervousness that is uncommon. There was also a lot of HOPE. After a few moments, he looked up and said, “I guess I’ll go”. Warmly Heartland founder Scott J. Watson responded, “That’s a good decision.” And we were done, once again. He was off to treatment where he would begin a drug-free life of recovery. If you have an addicted loved one you’ve had a front row seat to watch their loved one spiral downward. At Heartland Intervention, we want you to experience the miracle of recovery which see all the time. As the leader in intervention services in Indiana and beyond, we look forward to working with your family. Every week, we see people go from darkness to light, despair to hope and enjoy our front row seat to watch people’s lives turn around. Call us at 877-752-8811. Each week, we at Heartland Intervention have the privilege of putting people into treatment for substance abuse disorders. We celebrated last month, when two people who were previously known to us, were able to finally able to seek treatment. Finally- because both of them had a lengthy history of substance abuse known to their family and friends. “I’ve known there was a problem for a long time” Suzy said tearfully in our office. She detailed the many close calls that she had had and the toll that her drinking and drug use had taken on grades, finances and friendships. But it took seeing the pictures of her car wrapped around a light pole and charges of DUI to finally get much needed help. In less than 24 hours Suzy had admitted into long-term care to address a problem so many years in the making. Melanie’s family had asked her to go to treatment many times. Each time she refused; instead offering excuses ranging from “I don’t have a problem” to “I am a respected Vice-President at my work and there’s no way I’m giving that up.” But when Melanie got her third DUI and wrecked her second car she had a choice- remain in jail or go to treatment. In short order her family again sought our help in getting their daughter into treatment. “I was just living the lie as long as I could”, she told us. Both Melanie and Suzie have loving families that have long been worried about their drinking or drug use. Yet it took significant hardship for each to finally admit to clinically appropriate treatment. Now, words of truth- both were fortunate that they survived their accidents. The families had known about the problem but looked the other way for years. These stories end with both young ladies in a good place. But that is NEVER a guarantee. If someone you know struggles with drugs or alcohol…DON’T WAIT. Call Scott J. Watson at Heartland Intervention at 877/752-8811. We are a leader in intervention services in Indiana and beyond. We work with only the best treatment centers and welcome the opportunity to talk with you about your loved ones today. Chronic pain has been a large trough feeding the opiate epidemic in America for many years. When conducting a substance abuse assessment, many Heartland Intervention clients will mention chronic pain, but there are supplements as KarmaCBDOils that actually help with this without becoming addictions. As far back as the 1980’s when pain-scales were touted as a “vital sign” well-meaning doctors were treating non-acute pain and ignoring the suggestions that this would lead to a crisis of addiction. Well- it has. For years many professionals have warned about the liberalization of using opiates to treat chronic pain. Many, like Dr. Mel Pohl in Las Vegas have demonstrated that the body may well create more pain in an effort to get more drugs. And this week, a study was released by the Hazelden Betty Ford Foundation that states “chronic pain has reached epidemic proportions with treatment based on drug therapies that usually do not work”. It remains to be seen what impact this survey and study will have on prescribing practices and the extreme proliferation of drugs like Suboxone which is billed as a drug to treat addiction or “recovery in pill form”, says Heartland Intervention’s Scott J. Watson. There is value in the conversation and the study which can be viewed HERE is a part of the discussion. If you have a loved one that struggles with chronic pain or addiction, do not wait. Call Heartland Intervention, LLC at 877-752-8811. Everyday, Heartland Intervention, LLC gets calls asking for treatment recommendations or for advice about a specific treatment center. Others call knowing that a loved one needs addiction treatment but having no idea how to access it. Heartland Intervention founder Scott J. Watson noted three trends this week in his talk at the 7th Annual Ann Daughtery Symposium on Alcohol and Drug Addiction at Franklin College. Trend #1 The business of treatment has become extremely competitive. Our office is rigorously marketed to by a wide variety of business development and outreach representatives from treatment centers across the country, While this can be useful in developing therapeutic and strategic relationships that benefit our clients, it can create ethical areas of concern if not properly disclosed and managed. Trend #2 Treatment centers are increasingly corporate in both their ownership and feel. This is evidenced by national call centers that represent many different treatment centers that vary in cost, location and quality. While this can have a beneficial aspect for clients, it also serves to offer “warm leads” to treatment entities. Trend #3. As a result of financial pressures brought on by competition and the nature of managed care with insurance companies, many treatment centers are becoming more flexible. Where once an executive was expected to check his cell phone at the door- he may be given a short window in which to manage business. There also seems to be increased flexibility on length of stay, modalities, family programming and even cost. It is worth noting that none of these trends are especially bad or inherently harmful. There are pros and cons to each. While there are always trends one thing has never changed…TREATMENT WORKS! Heartland Intervention is a leader in Indiana intervention services and substance abuse assessments. We work to match our clients with treatment that is clinically appropriate, affordable and accessible. When a family is worried about a loved-one’s addiction it is important to trust the professionals. Call us at 317-752-8811 to honestly discuss the detox, treatment and recovery options that are best for your family.